Westcott Stainless Steel Office Ruler With Non Slip Cork Base, 12"
Nearly indestructible stainless steel ruler with a nonslip cork base. Etched standard and metric measurement markings. First and last inches have 1/32-in. gradations. 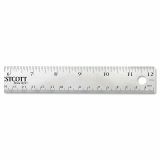 Westcott Stainless Steel Office Ruler With Non Slip Cork Base, 6"
Westcott Stainless Steel Office Ruler With Non Slip Cork Base, 18"
Westcott Stainless Steel Office Ruler With Non Slip Cork Base, 12" - Back To School! 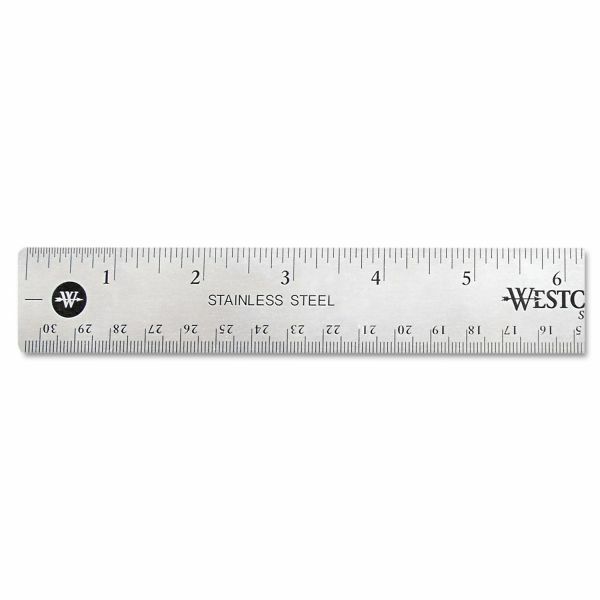 Ruler is made of the finest quality stainless steel. Ruled in 1/16" on one bevel with 1/32" in the first and last inch and metric on the opposite bevel. Ruler features nonskid backing.